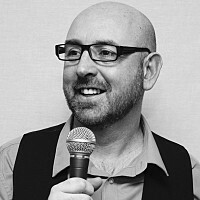 As a successful and highly sought-after presenter and announcer in the sports and entertainment industry for the last 18 years, Joe Fisher has a proven track record for providing informative, entertaining and memorable presentations across many different sports and genres. He has worked in sports including football, cycling, badminton, swimming, and running as well as light entertainment and mainstream TV. His credits are current and credible having been the stadium announcer at Old Trafford for the 2012 Olympics, Commentator for The Virgin Money London Marathon and hosted, announced and commentated many professional cycle races including Tour of Britain (8 years in a row) Women’s Tour (5 years) London Surrey Classic, (4 years) Tour Series (8 years), Tour De Yorkshire (3 years), British National Champs, Bradley Wiggins World record Hour attempt, Alex Dowsett World record Hour attempt and many mass participation and charity events including Ride London (5 years in a row) Swim Serpentine, tour rides, the big half, Memory walks for Alzheimer’s society, March for Men for Prostate Cancer charity, The Macmillan Mighty Hikes, Woking Party in The Parks and many more. Out of sport Joe has hosted for ITV at This Morning Live at the Birmingham NEC and at the I am team GB sports days on the set of Coronation Street. He was mainstage host for The Cycle show also at NEC. He also hosted many Gala Dinners, Auctions and Awards ceremonies Including Braveheart Gala Dinner, The association of University Estate Directors annual conference and dinner. Otter nurseries annual awards dinner, Craft foods dinner and others.